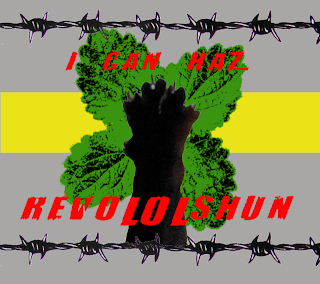 Welcome to #revoLOLshun Home of da CATifesto! Our Purrpose: To clearly state our needs and wants in maintaining a happy, fur-friendly household. #revoLOLshun, Home of da CATifesto. Welcome to #revoLOLshun Home of da CATifesto! 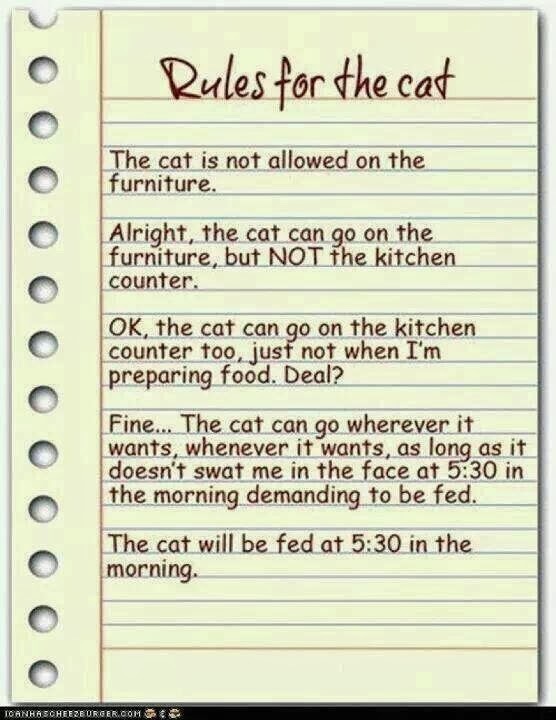 Attn staff: You made 'rules', I disagreed. I offered a compromise, which we then tweaked together. 'Nuff said. New to #revoLOLshun? Be sure to read da CATifesto. Be a revoLOLshunary... "Follow" I Can Haz revoLOLshun? 1st: Humans only get tuna when WE decide to share; and 2nd: Tuna must NOT be altered in any way! Hoomans has to learn to watch where dey sits or lies down or puts da feet. My tail is where it is. Be a revoLOLshunary... "Follow" I Can Haz revoLOLshun? or add us to your blogroll. 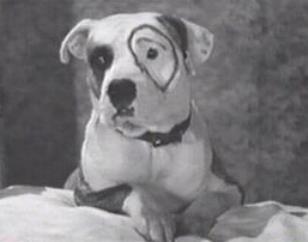 Whenever I hear the name Belfast I remember what the Belfast City Council did to that poor dog Lennox. Purrrr I bin heering bout dis breed specific legislation (BSL). BSL is laws banning certain breeds of dogs. Bully breeds are a favorite target. The United Kingdom has decided that the phrase "dangerous dog" refers not only to certain behaviors, but even to certain breeds. Lennox was a dog in Belfast, Ireland who was confiscated and held for two years before being euthanized. Lennox never bit anyone. Not even while being abused in captivity. Read a list of Dogs that are banned in the UK. To make it worse, dogs only have to vaguely resemble banned breeds to be subject to seizure and destruction. UKC registered in 1936 as a Staffordshire Terrier. BSL MUST be replaced with intelligent laws pertaining to obedience training, to behavioral interventions, and to prosecuting irresponsible owners. Update: Dog trainer and celebrity Victoria Stilwell has taken a stand against Breed Specific Legislation. Let's give her our support. I will not rest until the Dangerous Dogs Act is changed. It is a highly flawed piece of legislation doomed to fail right from the start and targets innocent dogs and families. It does not protect the public from dangerous dogs. I and thousands like me are going to work hard to get the law changed. I have helped shape the recently passed Responsible Dog Owner Law in the State of Georgia, USA. The new law puts the emphasis on owner irresponsibility rather than targeting any particular dog. Hold owners accountable and enforce tough laws on those who abuse them. We can do the same in Britain and other American states. This will make people a lot safer from all dangerous dogs regardless of breed than the DDA and will only prosecute the guilty while protecting the innocent. Thanks to TVAcres.com for the picture of Petey. New to #revoLOLshun? Be sure to read da CATifesto. Be a revoLOLshunary... "Follow" I Can Haz revoLOLshun? or add us to your blogroll. Shibbering Cheetos have a new home! WELCOME ~ Step on in!